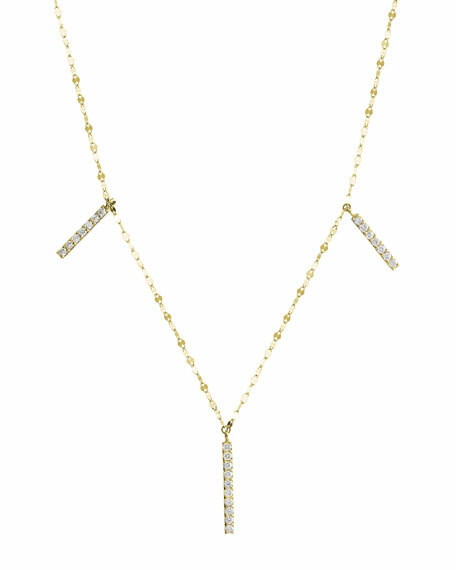 Lana necklace from the Flawless Volume 6 Collection. Signature 14-karat yellow gold flat link chain. Three diamond bar charms, approx. 1"L.
0.53 total diamond carat weight. For in-store inquiries, use sku #2174484.